Help children learn about the Saints, our Lord’s holy heroes of the past, with our printable Mini-books. With so many Saints to choose from, there is sure to be one who speaks to the heart and personality of your learner. 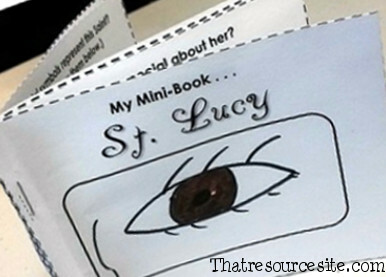 Most of our printable Saint mini-books are prompted and require learners to do a bit of research. Students must fill in basic information about each Saint, including such things as when and where they lived, their patronage, special symbols, and when we may find their intercession necessary and helpful. You can easily use these little mini-books along with resources you already have on hand or can freely access online. These resources are perfect for Charlotte Mason style narration activities or even Classical Learning exercises. Learning about the Saints has never been so fun and uplifting! Our mini-books are also perfect to include in F3 Folders or other file folder projects. They can be added to unit studies, used in CCD or Religious Ed. classes, or even attached to a notebooking page now and then.